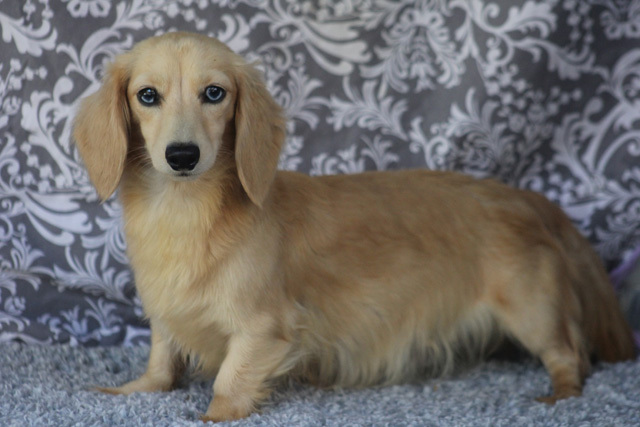 Louie’s miniature dachshund puppies for sale in North Carolina are produced by some of the prettiest girls around. 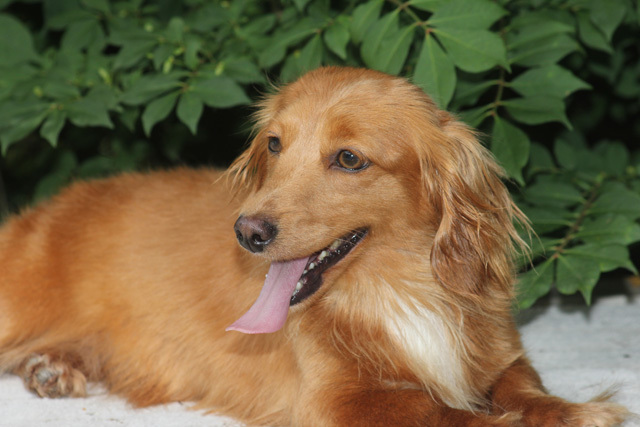 They are top of the line for looks, coats, temperament and conformation. 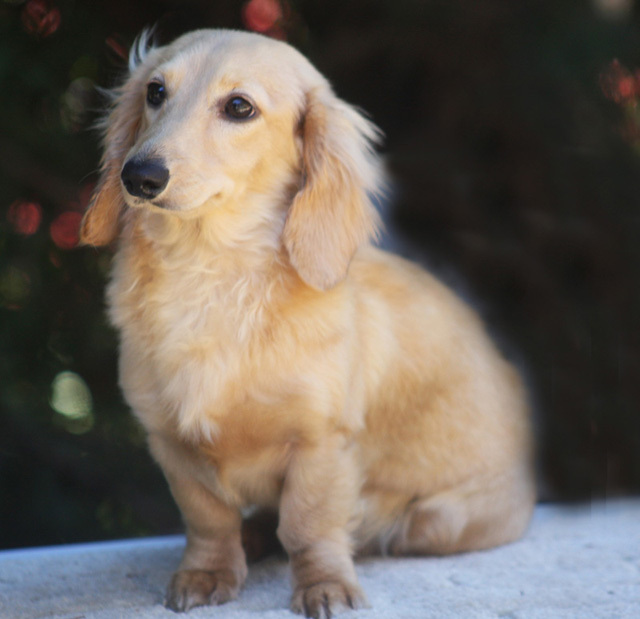 They produce very beautiful Dachshund puppies in all patterns and colors including the ever popular English Creams and Wire Hair Dachshunds. They are all lovely ladies and like a lot of loving (just like us women folk). They are all excellent moms and take excellent care of their babies – thus passing the healthy puppies on to you. 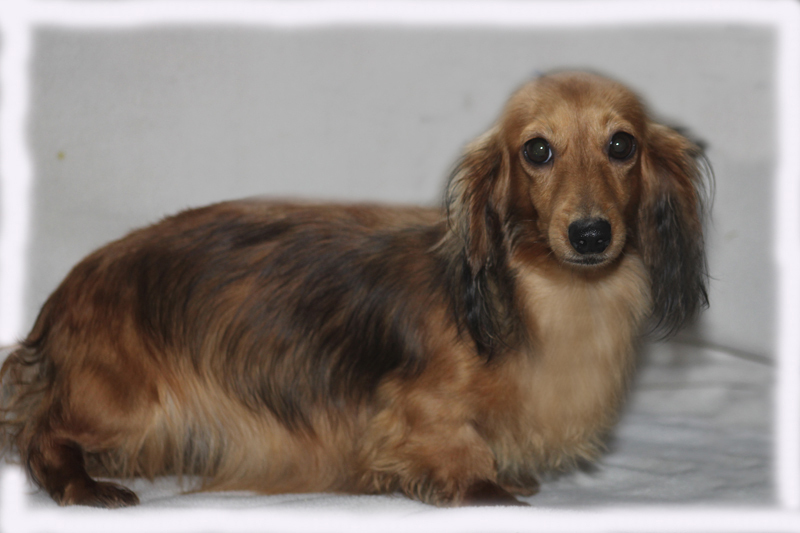 We strive to have the highest quality Dachshund ladies so we can breed as true to the Dachshund standard as possible. Elizabeth is a long coat English Cream. 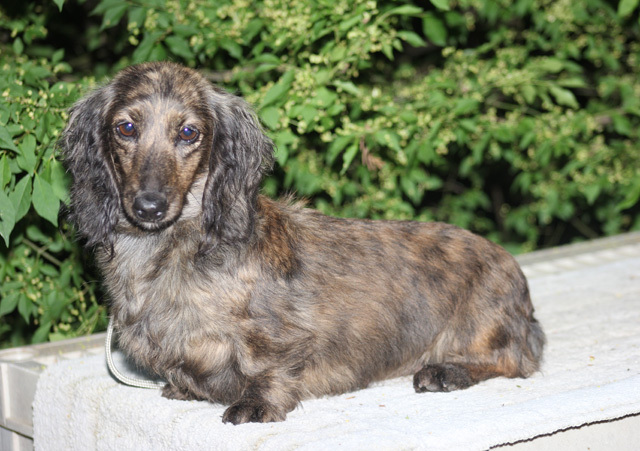 She is a 2nd generation Louie’s Dachshund. She is a beautiful lady and shows it by offering tons of love. Her parents reside with the Starkeys in Elijay, Ga. She was given to me by the Starkeys as a love gift. The Starkeys named her “Miss Lois. Imagine that! Thanks Amy, Betsy, & Leonard for Miss Lois. Weight 9 1/2 lbs. lbs. Rhoda is our beautiful ee English Cream girl. She is our prissy little girl and very mild tempered. She produces beautiful babies. Weight 9 lbs. 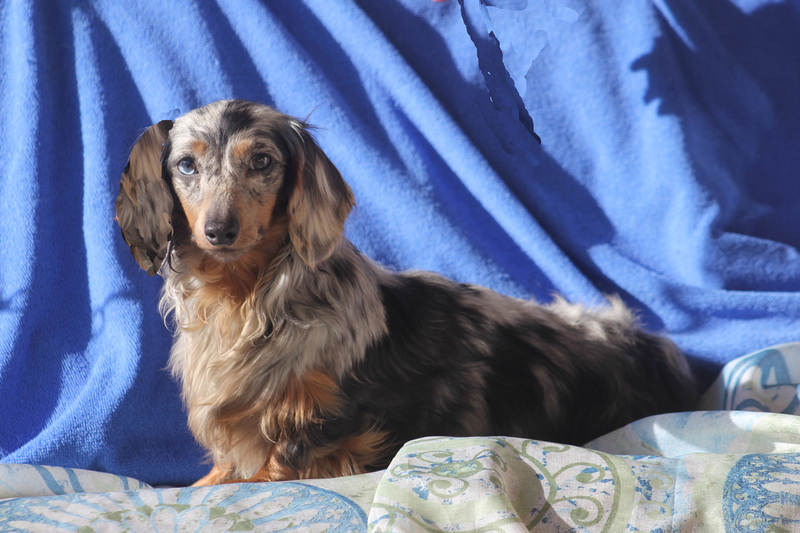 Joy is our beautiful little long coat blue & tan dapple. She is the life of the crowd and strives to be the leader of the pack. She loves to run and play in the mountains. When put with the right fellow she produces “WOW” babies. Julia is our little cream brindle lady. She is just cute as a button and has a great little personality. She is a hunter & loves to run the mountains. Weight 9 lbs. Rebekah is our sassy little redhead. 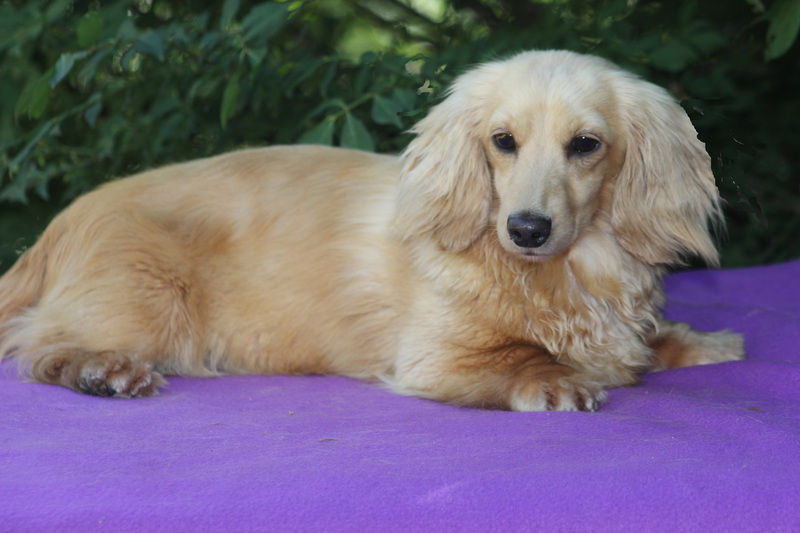 Her beautiful silky coat & long ears combine to make her a classic southern lady indeed. Weight 9 1/2 lbs. Leah is our exquisite little shaded cream lady. She has a very quiet personality but very loving. 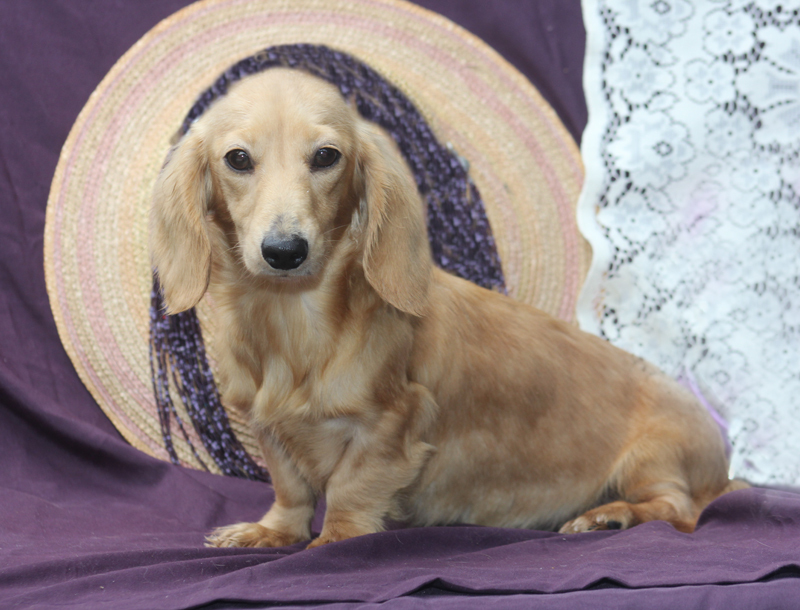 She has a beautiful coat, long ears, great conformation! She is just the greatest & produces beautiful babies. 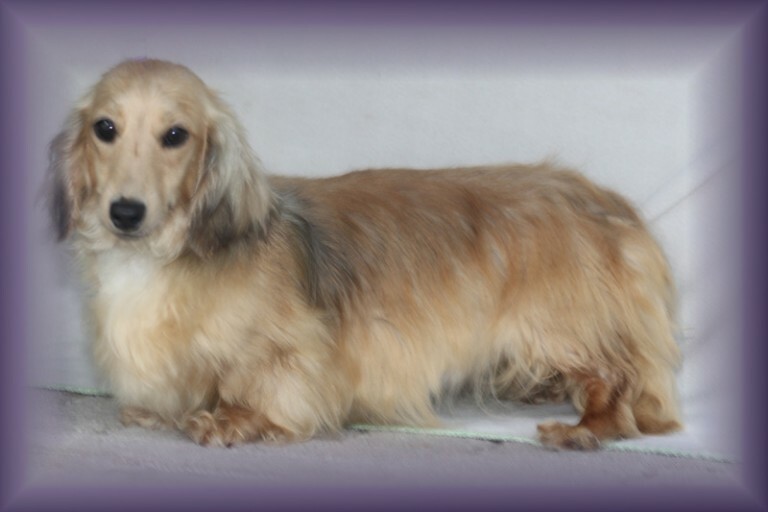 Anna is our lovely little Dapple Cream. Anna gets along very well with everyone else and likes to lead the pack. Weight 9 lbs. Fluff is our very dainty little wheaten soft wirehair lady. She has the true wirehair personality. So much fun to be around. 7 lbs. This is our little “sweetness.” Such a lovely little red girl with beautiful hazel eyes. She carries for piebald. 9 lbs. Blue eyes is our adorable little English Cream Dapple. Her personality is just as beautiful as her blue eyes. 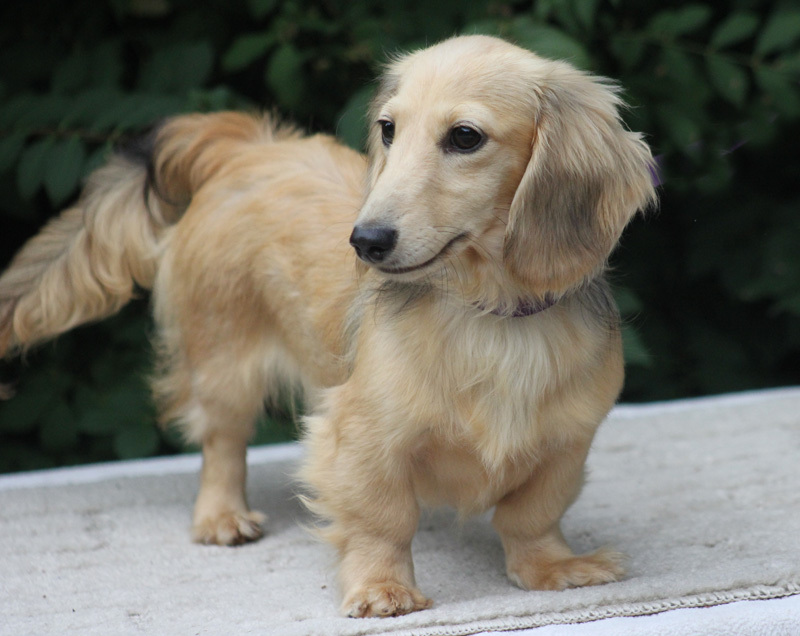 She actually belongs to my sister Marty, but she is part of the Louie’s Dachshunds gang. 8.5 lbs. Susanna is one of our lovely English Cream gals. Susanna is a unique little lady. She picks her men deligently. She really prefers John. 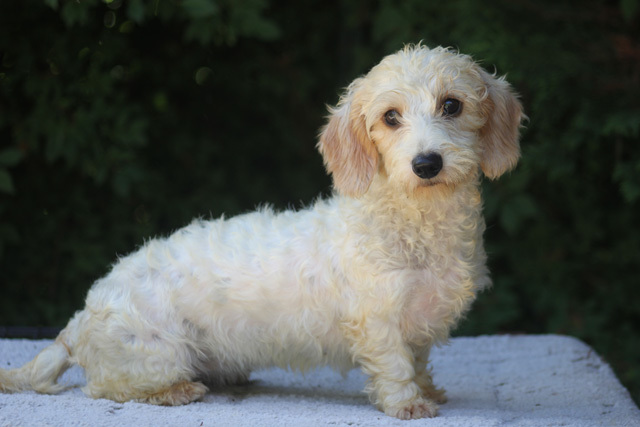 Susanna has a beautiful coat and a great personality. 10 lbs.